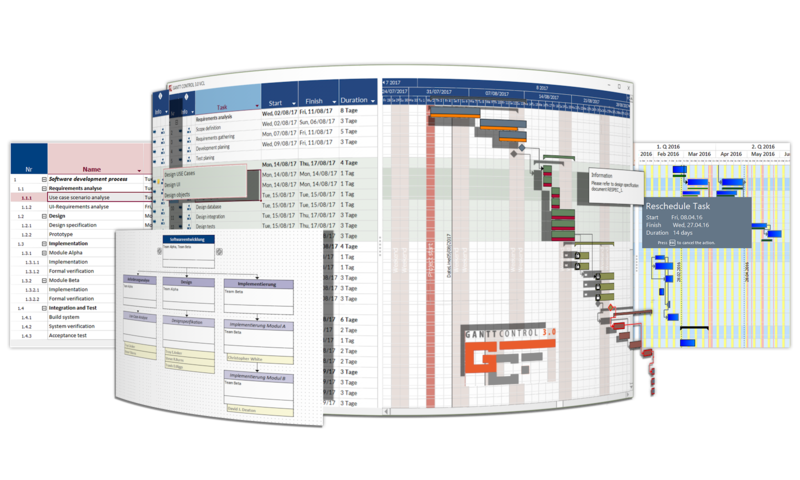 Gantt Control VCL 3.0 enables software developers to schedule tasks and events. Gantt Control VCL is adaptable to different requirements and is applicable to most scenarios e.g: Project management, Scheduling and task management, Employee scheduling. Core components of the Gantt Control are the gantt chart, the pert chart, the linked table view and a comprehensive printing preview.